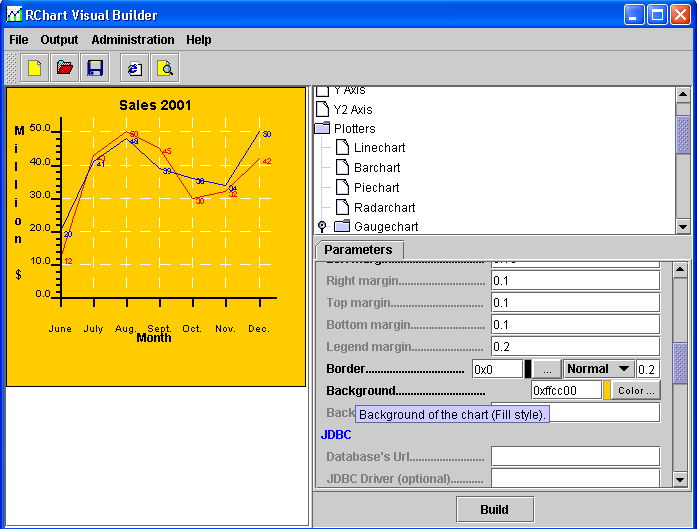 RChart Visual Builder is a tool which can be used to speed up your chart development process. The tool can be used to generate definition files that can be read by RChart's servlet, applet or in your Java[TM] application. you will not have to learn parameter names or the Java API. it prevents programming errors since the Java code required to run the chart is minimum. you will be able to easily change parameters and see the result with only 1 click. you will have an overview of all available parameters.